Barrier coatings, like Krones’ BestPET, can treat monolayer PET at up to 20,000 bottles/hr. Coatings are being used commercially for beer, juice, tea, soda, and perfume. PPG’s Bairocade epoxy-amine exterior barrier coating for PET bottles can now be colored or tinted. A more sober assessment of the near-term prospects for oriented PET barrier bottles has emerged in the past year among blow molders and food-packaging companies in North America. At the same time, advances in multi-layer and surface-coating technologies are diminishing the cost advantage of glass bottles and metal cans for beer, carbonated soft drinks (CSDs), oxygen-sensitive juices, and hot-filled foods. Three years ago, hopes for barrier PET beer bottles were high, but success has proved more difficult than anticipated. In fact, less than 0.1% of the 250 billion beer containers used worldwide in 2002 were in PET. Economics, not performance, were PET’s biggest deficit. In response, blow molders have diverted their energies toward designing barrier PET bottles for less demanding applications in juices, CSDs, and hot-filled products from pickles to baby foods. The focus is on 8- to 32-oz sizes, where growth is surging (see Table 1). Industry sources predict that a diverse stable of evolving technologies—new barrier resins and oxygen scavengers, lower-cost surface coatings, and higher-output multi-layer PET preform molding systems—will nurture expansion of this still small but promising market. Just a few years ago, blow molders bubbled over with speculation that beer would quickly go the way of the 2-liter soda bottle, creating a bonanza for PET blow molders. Today, that dream has gone flat. Converting beer from glass to PET is a daunting challenge, requiring a barrier against carbon dioxide egress and oxygen ingress, while also retaining clarity and strength. The stumbling block is a unit cost up to 100% higher for barrier PET beer bottles versus glass. Adoption of PET so far has largely been restricted to low-volume micro-breweries and special venues like sports arenas. A major shift to barrier PET beer bottles would require brewers and blow molders to invest heavily in the midst of a cost squeeze. For instance, it is not feasible for brewers to drop PET beer bottles seamlessly into glass bottle lines capable of filling, capping, and labeling 75,000 bottles/hr. Another obstacle is that 80% of the world’s beer is filled using tunnel pasteurization. This puts beer into the bottle at temperatures that expose it to thermal stress and pressure that typically cause PET to fail. The perception that plastic beer bottles might disrupt the existing PET bottle recycling stream has been a factor in discontinuation of some beer programs. In fact, blow molders claim that studies demonstrate that multi-layer beer bottles, even tinted ones, can be reclaimed and reused. Proponents of barrier coatings argue that the thinness of these coatings and their easy removal in normal bottle-flake washing systems makes them no threat to recycling either. Faced with these complexities, major U.S. brewers are taking a wait-and-see attitude. Nevertheless, both multi-layer and coated PET beer bottles are being used in limited amounts, and blow molders remain confident that beer will re-emerge as a fruitful target—perhaps in five years. Meanwhile, deflated prospects for beer are more than compensated for by penetration into oxygen-sensitive foods. The action is in small sizes where high surface area relative to volume calls for a relatively modest O2 barrier improvement of 200% to 500% greater than standard PET. Robert Miller of Business Development Associates in Bethesda, Md., estimates current demand for barrier PET bottles in North America and Europe at around 3.5 billion units/yr. Adoption is highest in juices and teas, which make up 52% of current use. Miller expects strong future growth in these applications and in nutritional and flavored alcoholic beverages (FABs) as well as smaller CSD and carbonated-water bottles. Another burgeoning sector is hot-filled fruits, jams, sauces, condiments, pickles, and infant formulas. Use in flavored milk and coffee drinks is also poised for takeoff. One of three fundamental ways to build CO2 and O2 barrier into PET bottles is to design a multi-layer structure sandwiching PET structural layers around a core layer or layers containing higher-priced barrier materials. This approach stands to benefit from promising new barrier materials such as nylon-based nanocomposites and “passive-active” barrier systems. The latter are dual-acting formulations of a passive barrier material and an active oxygen scavenger that blocks O2 entry and also absorbs O2 from the head space and contents. Surface-coating technologies apply a super-thin barrier to one surface of a monolayer PET bottle. Coating equipment is being tailored for specific barrier needs, throughput rates are soaring, and new machine designs are facilitating integration into existing high-speed filling lines. The “ideal” route to a barrier PET bottle is a monolayer polyester structure. This approach would require blending a barrier resin or O2 scavenger—or both—with PET. Multi-layer or coating equipment would not be needed, and bottle design freedom would remain unfettered. Yet sources concede that few practical “monolayer solutions” are as yet on the horizon, mainly because suitable materials are high-priced. About 70% of barrier PET bottles today are multi-layer structures, and the technology has proven itself for a decade in the PET ketchup bottle. “The multi-layer PET food bottle is the optimal solution in barrier performance, functionality, and cost,” asserts John Kermet, marketing and sales v.p. 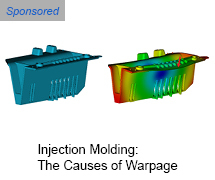 at Kortec Inc., a supplier of coinjection systems for multi-layer preform molding. The company is relocating to a larger production site to meet burgeoning global demand for multi-layer preform systems in beer, tea, juice, and other food markets. Higher productivity currently favors multi-layer PET containers over coatings. Kortec has just introduced a 72-cavity preform coinjection system that works with the same 300-ton press previously used for 48 cavities (see story on p. 19). Without hurting cycle times, the outcome is 50% more output at 25% additional capital cost. The initial use is a 16-oz CSD bottle with double the CO2 shelf life typical for monolayer PET. Multi-layer containers can be engineered to survive pasteurization, Kermet adds. Kortec technology is used in one pasteurizable PET beer bottle made by Zhong Fu in China. This is possible due to new bottle design features, processing techniques, and material modifications. 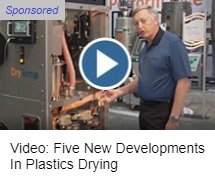 DevTech Labs, a PET bottle-technology firm, is developing a hybrid system combining coinjection and sequential molding cycles to make barrier PET performs with six to nine layers. The structure improves layer-thickness precision and orients layers to optimize barrier properties. Owens-Illinois in Chicago uses five-layer coinjection with proprietary passive-active barrier materials in food applications from ketchup to beer. Its SurShield barrier includes MXD6 nylon and an oxygen scavenger in two super-thin layers wedged between outer PET layers and a core layer incorporating up to 35% recyclate. CO2 barrier is said to be enhanced by 40%. Philadelphia-based Constar International uses a three-layer structure with a barrier layer of MXD6 nylon and O2 scavenger. This Oxbar passive-active barrier system is aimed at juices, FABs, hot-filled foods, and beer. Constar designs bottles to survive tunnel pasteurization by using extended necks that expand to relieve pressure and base designs that retain shape and strength. The arrival of a number of new barrier materials favors proliferation of multi-layer PET containers. Today’s incumbents are MXD6 nylon from Mitsubishi Gas Chemical (MGC) and ethylene vinyl alcohol (EVOH) from Eval Co. of America (Evalca), both priced at around $2.50 to $3.50/lb. Evalca offers an Eval F grade that boasts higher CO2 barrier than MXD6 plus good clarity and excellent flavor retention. A newer product, Eval ABP, combines an EVOH matrix having good CO2 barrier with an oxygen scavenger to protect oxygen-sensitive foods and keep beer tasting fresh. MXD6 is a clear, high-barrier resin able to withstand hot filling. Sam Suzuki, MGC America’s sales manager, says MXD6 is used in Japan for monolayer, single-serve, green-tea packages. MGC has plans to build a new 22-million-lb/yr MXD6 production facility in the U.S. by 2004. Through an alliance with MGC, Nanocor has rights to melt-compound its own nanoclay additives with MXD6 nylon for use in barrier PET bottles and films. Some details on this “M9” nanocomposite were revealed in a paper at last month’s Nova Pack Americas 2003 conference in Orlando, Fla., sponsored by Schotland Business Research of Skillman, N.J. Data show that “M9 boosts the CO2 and O2 barrier of standard MXD6 respectively by 50% and 75%,” states Peter Maul, Nanocor’s president (see Table 2). The material also retains high clarity and delamination resistance equal to standard MXD6. The shelf life specified for beer in the U.S. (110 days) and Europe (180 days) can be reached with a three-layer (PET/M9/PET) structure using a thinner barrier layer than if plain MXD6 were used. Maul says M9 costs more than MXD6, but a processor would still reap a big cost saving. M9 will be marketed as a ready-to-use pellet by MGC. Honeywell has broadened the scope of its Aegis family of nylon 6 nanocomposites to cover the full spectrum of high-barrier food-bottle and film applications. John W. Jones, market-development specialist, says Honeywell plans to retain control of the technology despite pending transfer of Honeywell’s nylon business to BASF. Aegis products are reactor-made or melt-compounded blends of nylon 6 and low (2%) levels of nanoclay platelets that act as a tortuous-path barrier to CO2 and O2. Edward Socci, Aegis technology leader, adds that Honeywell has a proprietary oxygen scavenger that boosts O2 barrier to the level of glass. He says it involves a “polydiene entity” dispersed in the nylon 6 that does not impair the matrix properties. Aegis OX, a nanocomposite grade that contains the oxygen scavenger, is said to offer sufficient passive and active CO2 and O2 barriers to protect beer. Aegis OX is used in a three-layer, 12-oz premium beer bottle for Anchor Brewing of San Francisco. Aegis CSD and HFX are grades optimized for carbonated beverages and hot-filled foods, respectively. Aegis CSD significantly elevates CO2 barrier versus unmodified PET, suiting it to smaller CSD bottles. At 3.5% of bottle weight, Aegis CSD extends the shelf life of 0.5L bottles from 9 to 14 weeks (see graph). New data extend the shelf life to 16 weeks. Aegis HFX is a passive-active system that adds more O2 resistance for foods. Socci says both demonstrate a significant advance in improving delamination resistance. The thermal limits of PET are marginal for hot filling or pasteurization. Polyester supplier Kosa has responded with Polyclear 2201 PET copolymer and Polyclear 2202 PET/PEN copolymer. Both have higher heat resistance than straight PET. Grade 2201 is said to withstand up to 198 F (92 C), which is well above the normal hot-filling range. Polyclear 2202 reportedly withstands up to 203 F (95 C), adequate for some pasteurized bottles. PEN, a cousin of PET, typically delivers a five-fold improvement in both CO2 and O2 barrier versus monolayer PET, along with higher heat resistance and good clarity. PEN has a Tg of 122 C, far exceeding that for PET, so PEN blends would allow mono layer bottles to be pasteurized. The high price of PEN and PEN/PET blends currently prevents widespread adoption for single-use containers. But sources at BP Amoco in Naper ville, Ill., which makes the key monomer for PEN, says monolayer PEN bottles are making inroads into multi-trip refillable beer and water bottles in Europe and Brazil. Several available barrier-coating technologies are differentiated by the type of coating material, coating placement (interior or exterior), and application method. Coating systems use monolayer PET bottles, which helps their economics. However, equipment is costly and requires integration into complex, high-speed filling-labeling-capping lines. Most suppliers of coating equipment also double as suppliers of stretch-blow and filling machines. Sidel’s Actis cold plasma technology, designed originally for beer, puts a thin carbon coating on the bottle’s interior, enhancing CO2 barrier sevenfold and O2 barrier thirtyfold. The current throughput rate is 10,000 bottles/hr, but a version with double that rate is soon to be unveiled. A new variant, Actis Lite, is aimed at less demanding juice, CSD, and hot-fill applications. Sidel has sold some 20 Actis and Actis Lite coating machines worldwide, including two in the U.S. Users include Austria’s Alpha-Werke (packaging beer and juice), France’s Kronenbourg (beer), and Japan’s Hokkai Can (green tea). Plastipak Packaging in Plymouth, Mich. uses a Sidel system to coat PET bottles for beverage and non-food (drug) uses. PPG Industries sells coatings that have been applied to billions of beer, juice, and CSD bottles worldwide. PPG’s Bairocade liquid epoxy-amine is sprayed onto the exterior of PET bottles, which are then oven-cured. The crosslinked 1- to 6-micron-thick coating is glossy, offers excellent CO2 and O2 barrier, and survives pasteurization. The coating’s lubricity facilitates treatment rates of 45,000 bottles/hr in a continuous operation. The coating can be removed by aqueous cleaners commonly used in washing reclaimed PET bottle flake. A new capability is the ability to color the clear coating—such as amber for beer. One Bairocade licensee is Graham Packaging in York, Pa., which uses the coating on 12- to 20-oz juice bottles. In Saudi Arabia, PepsiCo uses Bairocade to coat single-serve CSD bottles. 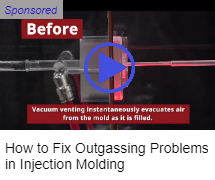 Sipa co-developed with PPG blow molding equipment for use with Bairocade. Now, Sipa is developing its own coating technology for a broad range of PET bottles. A spokesman hints that more details may be revealed at the NPE show in June. Tetra Pak is offering for license a silicon-dioxide plasma-coating system for the interior of PET bottles. Jeff Kellar, v.p. for plastic packaging, says the Glaskin coating delivers CO2 and O2 barriers equal to glass. Further, the coating’s elasticity ensures barrier integrity (crack resistance) despite bottle expansion and contraction during filling. Kellar expects Tetra Pak to achieve commercial successes with Glaskin in the U.S. this year in juice and hot-fill applications. Krones’ BestPET technology puts a silicon-oxide barrier on the bottle exterior. It reportedly retains good clarity while modestly enhancing CO2 and oxygen barrier. Application rates are up to 20,000 bottles/hr. The technology was co-developed with Coca-Cola Corp. for CSD bottles. A new BestPET Plus version has been launched for single-serve CSD, juice, beer, and hot-fill containers. It protects the outside glass coating with a topcoat. At the Nova-Pack Americas conference, Micro-Coating Technologies introduced a potentially lower-cost coating technology called Combustion Chemical Vapor Deposition (CCVD). “Our open-atmosphere, flame-based system deposits a thin coating—any of several organic or inorganic types—onto cans, plastic bottles, or films,” says John Edwards, v.p. of sales and marketing. He claims CCVD technology is simpler to operate, lower in cost per bottle, and more environmentally friendly than other coatings. CCVD is said to enhance CO2 and O2 barrier properties without impairing clarity. CCVD technology begins with a low-vapor-pressure coating solution that is atomized into a mist and dried and simultaneously cured with a flame. The process requires no vacuum chamber and reportedly fits easily into conventional bottling lines. SIG Corpoplast co-developed the Plasmax 12D rotary coater to apply a coating from Schott HiCotec in Mainz, Germany. It uses a cold plasma to deposit silicon oxide inside the bottle. Treatment cost reportedly is lower than for other barrier approaches.